Dedicated ACCI Choice chat™ (Medicare Model) - Augmentative Communication Consultants, Inc.
Augmentative Communication Consultants, Inc. (ACCI) will assist your clients in seeking funding through Medicaid or private insurance for the Dedicated ACCI Choice chat™. ACCI will work with you and your client to determine eligibility for funding. For the latest funding information please visit our funding page, (http://www.acciinc.com/funding-services) and download Required Funding Documents today or contact ACCI's Funding Department for questions at 800-982-2248 or e-mail: acci1@earthlink.net. Augmentative Communication Consultants, Inc. The Dedicated ACCI Choice chat™ includes a case of your choice and the TouchChat HD AAC with WordPower app. 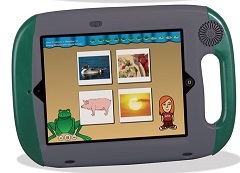 This version of TouchChat is bundled with the WordPower series of AAC vocabularies designed by Nancy Inman. WordPower 24 is a word-based vocabulary that allows intuitive communication with phrases for easier language generation. Words, phrases and messages are spoken with a built-in voice synthesizer or by playing recorded messages. Various English and Spanish synthesized voices are available, allowing the user to choose a voice that fits their own personality. TouchChat also has a unique feature whereby one can simply tilt the device to make the message expand to fill the screen in large letters. This feature allows a person to communicate silently or in a noisy environment. TouchChat gives an individual the ability to navigate through page sets and speak messages. Page sets are linked pages, each of which is divided into a number of buttons. Text from other applications can be copied to TouchChat so that it can be spoken out loud. Also, text generated in TouchChat can be copied to other applications. Multiple access methods are supported, including: direct touch, switch scanning and keyboarding. The Dedicated ACCI Choice chat™ has flexibility by offering choices of protective cases. 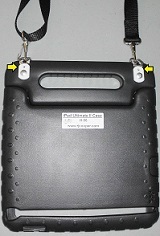 Several cases have enhanced the volume of the device to make it easier to distinguish sounds; many have handles for carrying and shoulder straps for portability and some cases can be mounted to a wheelchair, or tabletop. All Dedicated models come with a limited 2 year warranty. Click here to fill out the "Dedicated ACCI Choice™ chat Selection Sheet"
1. Choose the Dedicated ACCI Choice chat™ model you need. Select the Dedicated Model to meet Medicare guidelines. Dedicated devices are devices that can only be used as communication devices, i.e., no other applications can be run on them. Configuration before delivery if needed. 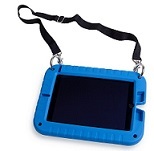 Rugged, protective cases in various colors, with built-in handle (that folds to be a 15 degree stand), and sturdy shoulder strap. Comes with screen protector. 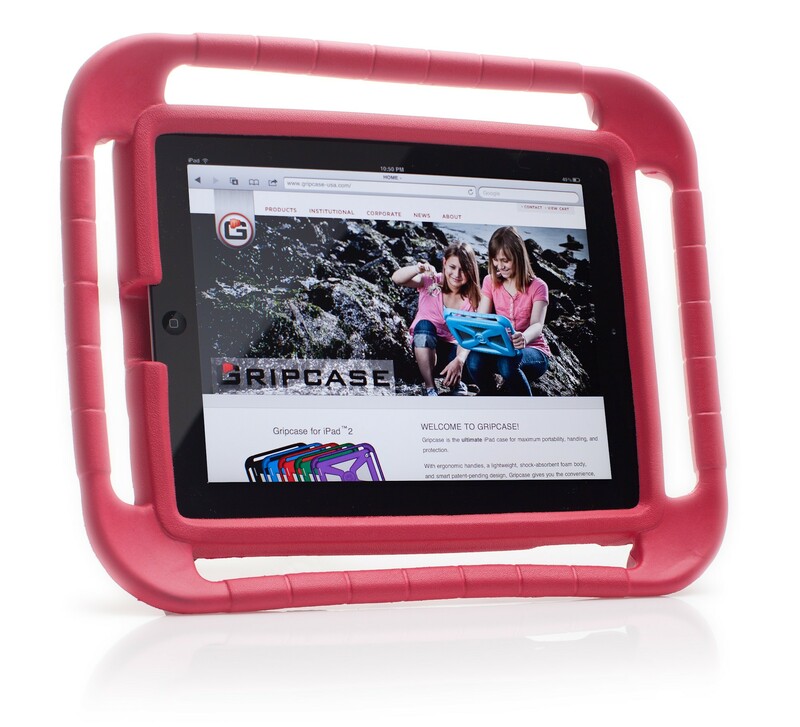 For NEW iPad in Pink, Black or Blue. Augmentative Communication Consultants, Inc. (ACCI) will assist your clients in seeking funding through TRICARE, Medicaid or private insurance for the Dedicated ACCI Choice chat™. ACCI will work with you and your client to determine eligibility for funding. Fund your Dedicated ACCI Choice chat™ For the latest funding information please visit our funding page, (http://www.acciinc.com/funding-services) and download Required Funding Documents today or contact ACCI's Funding Department for questions at 1-800-982-2248 or e-mail: acci1@earthlink.net. Special Notices: Products and applications are warranted and supported solely by the individual manufacturers. ACCI reserves the right to substitute the Dedicated ACCI Choice chat™ for an older compatible model if the newest model is not available. Prices will remain the same. Dedicated ACCI's Choice chat™ sales are final. Click the button below to add the Dedicated ACCI Choice chat™ (Medicare Model) to your wish list.